Hab auch die selbstgemacht Tomaten-Sauce aufgebraucht! Musste deswegen heute eine gekaufte verwenden, die wir für den "Notfall" hatten. Ugh... ich muss sagen, ich mach die jetzt immer Selber! Rezept kommt demnächst. Mehr hab ich nicht zu berichten XD Fragen immer willkommen! 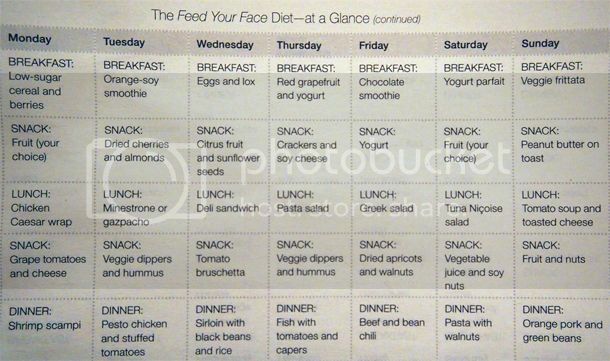 It's almost end of the week, but here's my diet plan *lol* I've kept it up very well last week... except on Sunday (after a party), I slept long and then just ate what I could find in the fridge o_O Not really so extreme! *lol* Also, finished the homemade tomato sauce! I had to use a bought one that we had for "emergency". Ugh ... I must say, from now on I'll only eat the homemade one! Recipe coming soon. No more to report about XD Questions are welcome!